Openmoko is an attempt to create the world's first completely open mobile phone software stack. We believe in standardization bottom-up (defined and implemented by the community), instead of top-down (defined by a consortium). 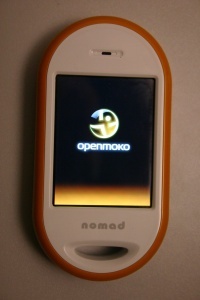 OpenMoko is supposed to run on all kinds of Linux-capable mobile phones. 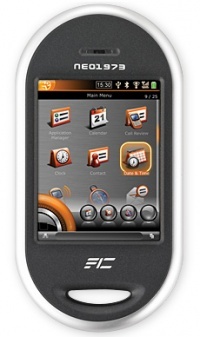 The first fully supported OpenMoko phone is the FIC Neo1973. This initative has been initiated by FIC Inc. and OpenMoko, Inc.
Google Video of the talk about OpenMoko by Sean Moss Pultz at FOSdem on 23rd Feb 2007. Version of above talk, in higher resolution, with the screen zoomed and transformed to the projector screen. Text is visible here, unlike in the version above. MokoNinja infiltrates FIC Featuring Mickey, Harald, The Neo, and more..